This idyllic, honey-coloured, 16th century manor house sits in three acres of beautifully landscaped gardens sloping down towards the River Stour. 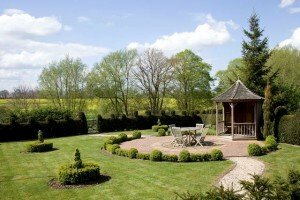 It’s a timeless and very English setting that’s just perfect for a stroll or a picnic. 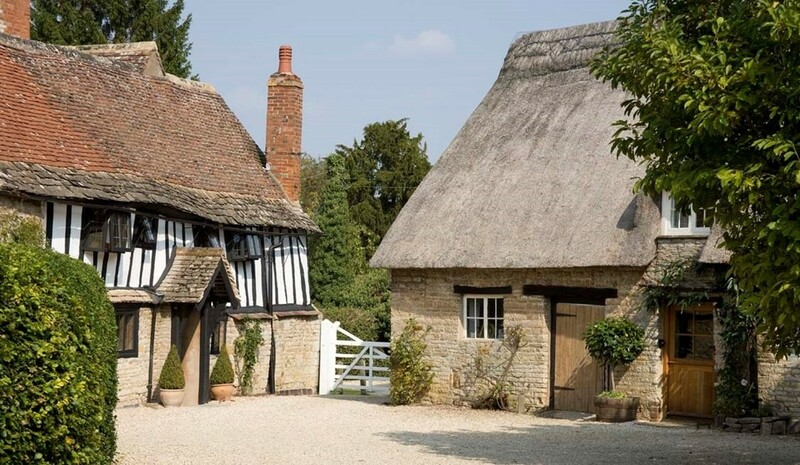 Boutique bed and breakfast accommodation is provided in three guest bedrooms in the main house, whilst a pretty cottage in the grounds – complete with a thatched roof – offers luxurious self-catering accommodation. 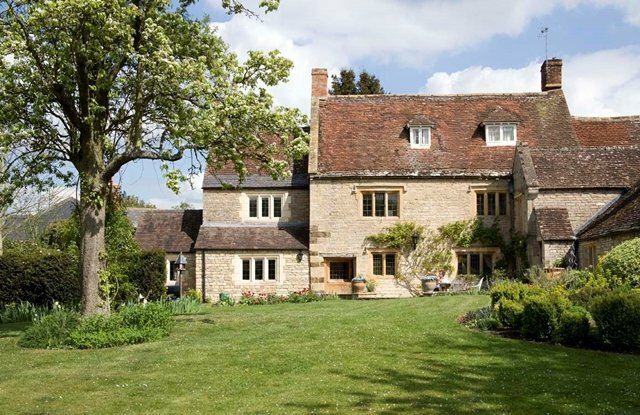 The Old Manor House is located in the village of Halford, which is surrounded by the glorious South Warwickshire countryside. As soon as you step through the front door into the restful sanctuary within, you’ll feel like you’ve left the hustle and bustle of everyday life far behind you. Yet, astonishingly, you’re within easy reach of a host of historic cities and attractions. Halford is on the edge of the Cotswolds, just ten minutes from Stratford-upon-Avon, 20 minutes from Warwick, and 40 minutes from Cheltenham and Oxford. Your charming hosts, Jane and William Pusey, greet you on arrival with tea and homemade biscuits and this warm welcome sets the tone for the remainder of your stay. Jane is more than happy to book theatre tickets or restaurant tables for you, as well as arranging taxis and recommending places to eat, drink and visit. Bicycle hire and guided walks in Stratford-upon-Avon can be arranged, and picnics or light suppers can be provided by prior arrangement. The front elevation of The Old Manor House’s has a striking half-timber façade that was recognised by the highly regarded art historian Sir Nikolaus Pevsner in his The Buildings of England series of books. The house oozes rustic charm, but don’t be fooled into expecting a twee cottage-style interior. Inside, Jane and William have created a classic and timeless country look, where beautiful antique furniture sits comfortably alongside contemporary art against a backdrop of soft grey walls and Persian rugs. The 17th century grade II listed Old Manor Cottage comprises a sitting room, kitchen, two bedrooms and a bathroom. It has recently been refurbished and has a slightly more relaxed contemporary vibe, with an all-white colour scheme punctuated by rich accent colours. Well-behaved dogs are welcome at the property although they are not allowed in the dining room and owners must bring their own dog bedding. There are some fantastic walks nearby to give your four-legged friends a run so there is no excuse for man’s best friend not to have a holiday too! There are three bedrooms in the main house, which are available on a bed and breakfast basis. 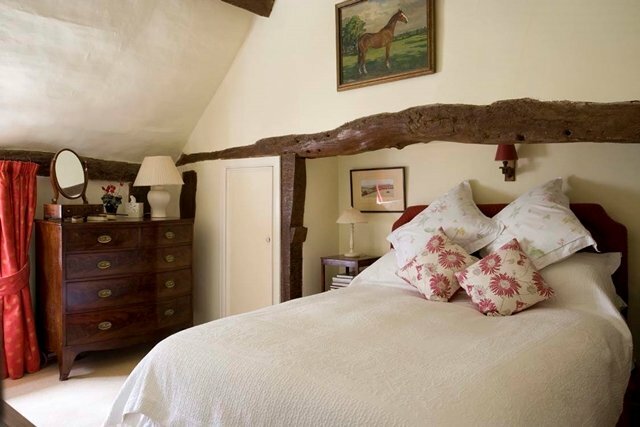 Underhill is a double bedroom in the original part of the house, which dates back to the 1550s. During the summer months it has wonderful views of the magnolia tree and rose bushes in the garden. It has its own private bathroom with a separate bath and shower. 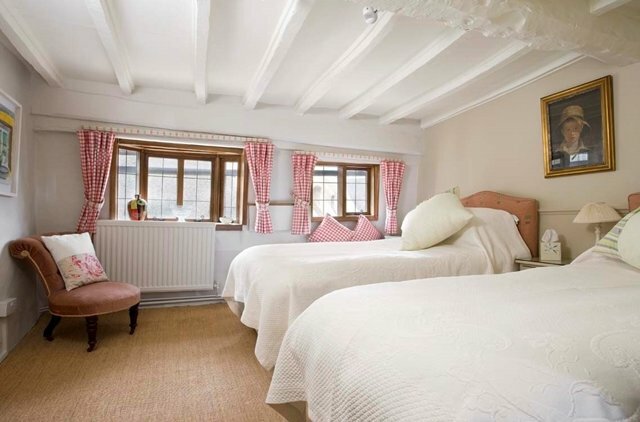 Rowley can be made up as a double room or twin room, and enjoys panoramic views of the garden and River Stour. It has its own private bathroom. Beecham has an en suite bathroom and is in the oldest part of the house. It can be made up as either a twin or double room. 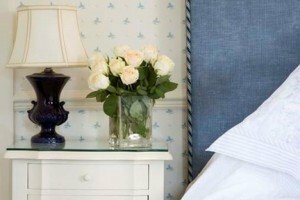 All three rooms have luxurious cotton bed linen; tea and coffee making facilities; free, wireless internet access; a flat screen television; luxury bathing products by British spa brand Ila; and fluffy bathrobes. Old Manor Cottage sleeps three people in two bedrooms (one double room and one single), which are appointed to the same high standard as those in The Old Manor House. 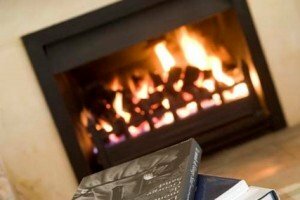 Double rooms are priced at £110 per night with a 10% discount offered for single occupancy. There is a 2 night minimum stay at the weekends. 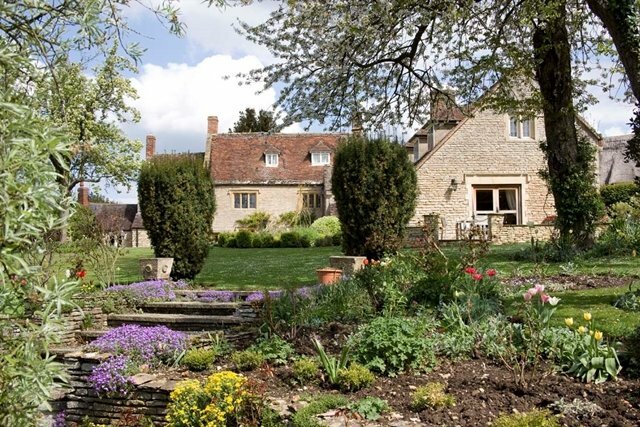 The Old Manor House is dog-friendly, but please contact Jane and William to discuss the option. There’s an additional charge of £15 per night. 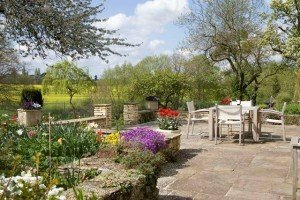 Contact Jane and William direct for self-catering prices for the Old Manor Holiday Cottage. Jane is a Cordon Bleu cook and uses produce sourced from local farms to create the delicious options on the menu. Breakfast is served between 8 and 9am in the elegant dining room. You have found a wonderful place to stay and Boutique and Breakfast is committed to giving you a personalised service so that you can find the right room at the right price. Simply fill in our enquiry form and within 24 hours you will receive a response from The Old Manor House tailored to your needs. This will be in the form of either a telephone call or an email. 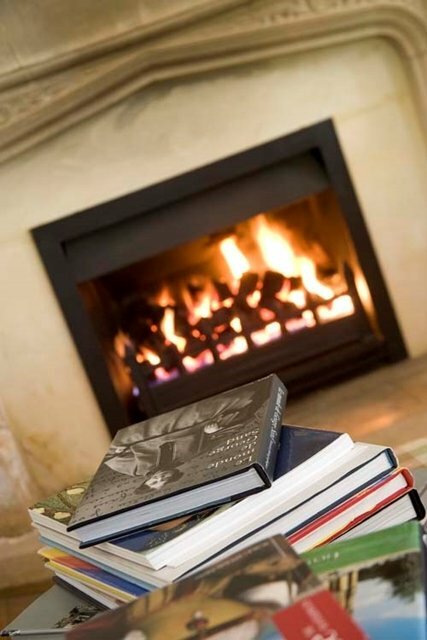 It was drizzling rain and dark outside when we arrived, and we were warmly greeted by Jane who had lit the fire in the drawing room for our arrival. How special! 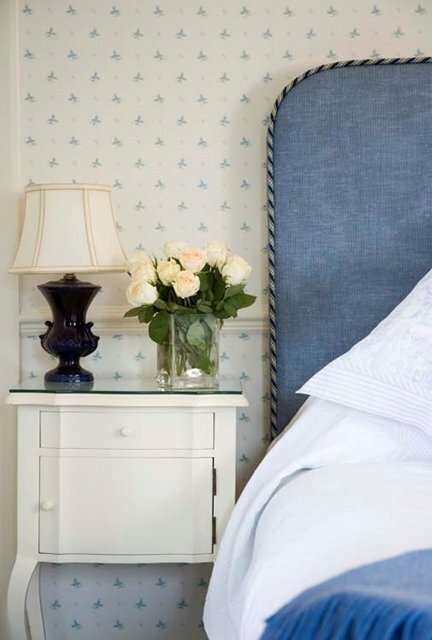 It is an amazing home; tastefully decorated, immaculately clean, beautiful linens, with many wonderful touches. Breakfasts were delicious and beautifully presented. The grounds are manicured and worth a walkabout.